PHOTO PROVIDED Hundreds of competitors came out to Nerd Haven, 124 E. Main St., Lock Haven, for a Yu-Gi-Oh Regional Qualifier. 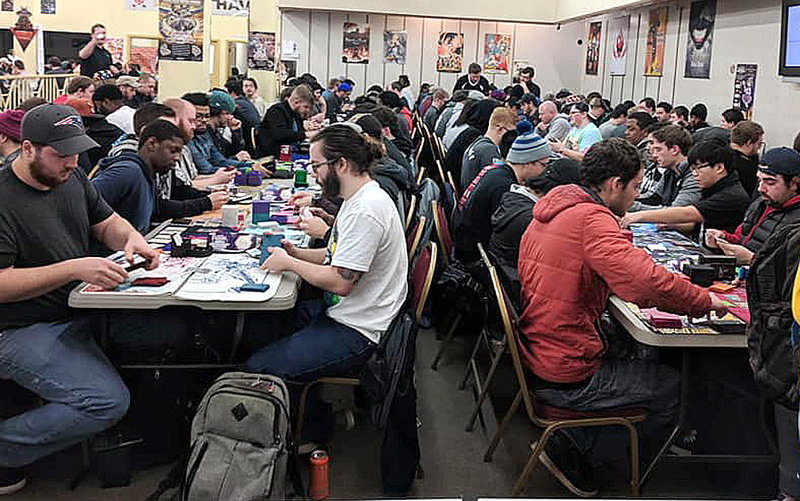 LOCK HAVEN — The heart of the cards was brought to the heart of Lock Haven on Saturday, Jan. 12, as local card shop and game store Nerd Haven was able to attract an incredible 213 players for a Yu-Gi-Oh tournament. The event was a Regional Qualifier tournament, with the top 32 competitors at the event qualifying to play in the Yu-Gi-Oh National Championships in Pittsburgh, later this year. “The previous attendance record at our location was the MTG Star City Games Invitational Qualifier sponsored by The Express. That event had 64. As for max capacity, our posted cap was 200, but we grabbed a few extra tables to squeeze in a few more to make it 213. 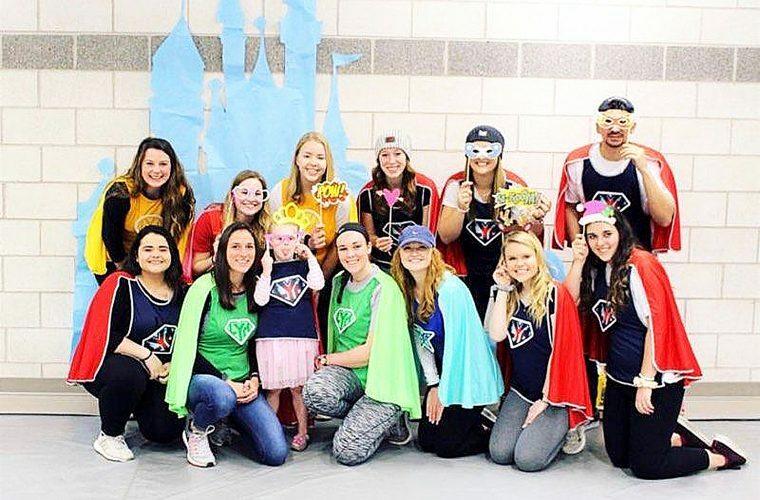 We still had to turn away around 30 to 40 players because there simply was not enough room,” said Nerd Haven owner Zach Hess. Players paid $20 to get into the event, and received booster packs of the Yu-Gi-Oh game upon entry. The tournament was organized through the creator of the game, Konami and was also sanctioned by them. Players came out from as far as Virginia and Canada to compete in the event. “Regionals are held in various locations around the world, with there being four seasons per year. To host one of these events there is an application process where you must be in good standing with Konami and it is also done well in advance. We were one of the last regionals in the season, but we were approved way back in September, with the circuit beginning in late October,” Hess explained. As for other big events on the horizon, Hess said that Nerd Haven has an upcoming Magic: The Gathering pre-release event this weekend, with Pokemon and Yu-Gi-Oh releases the following weekend. There will also be a League Cup for Pokemon the first weekend in February. Nerd Haven also hosts weekly Yu-Gi-Oh tournament events, each Friday at 6 p.m., with a $5 entry fee, along with events for several other video games and trading card games on their monthly schedule. Their monthly schedule can be found online on their Facebook page, or for more information, contact Hess at 570-858-1121.